New Album, Arson, To Be Released On February 16th On AOP Records. November 2, 2017 – Los Angeles, CA - Austrian post-black metal band Harakiri For The Sky will make their awaited return in 2018 with the release of their 4th studio album, Arson, which will debut on February, 16th via AOP Records with distribution from Plastichead Distribution (Europe/North America/World) and Edel (Germany/Austria/Switzerland). Today, the band has shared the record’s first new single, "Tomb Omnia," at Stereogum.com. Fans can pre-order the record now at www.aoprecords.de. 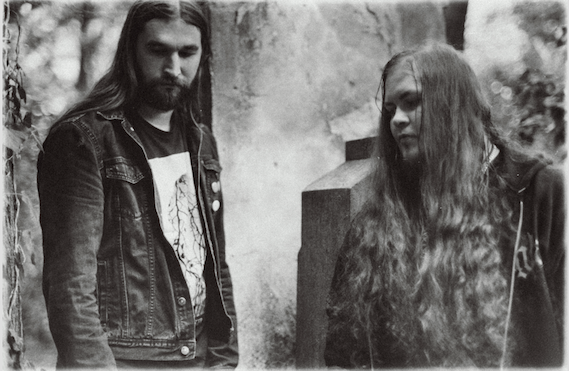 Harakiri For The Sky’s initial song, "Tomb Omnia," is an 8+ minute, crushing tale of anguish and pain that’s set to the band’s signature sound of lush, enthralling riffs that blur the line between black metal and atmospheric post-rock. Founded in 2011 in Vienna, Austria, Harakiri For The Sky has created a unique mixture of melancholy and aggression, madness and meaning, and wrapped in alternately manic/mellow songs. The band was initially begun as a studio project by Bifröst member M. S. and vocalist/lyricist J. J., and has recently been expanded to a live lineup, which has gone on to perform with the likes of A Forest of Stars, Ellende, Fäulnis, Der Weg Einer Freiheit, and Agrypnie among others, encompassing over 20 countries to date. Harakiri For The Sky will perform one exclusive album release show on February 10, 2018 at Szene in Vienna, Austria. Additional tour dates are expected to be announced soon.